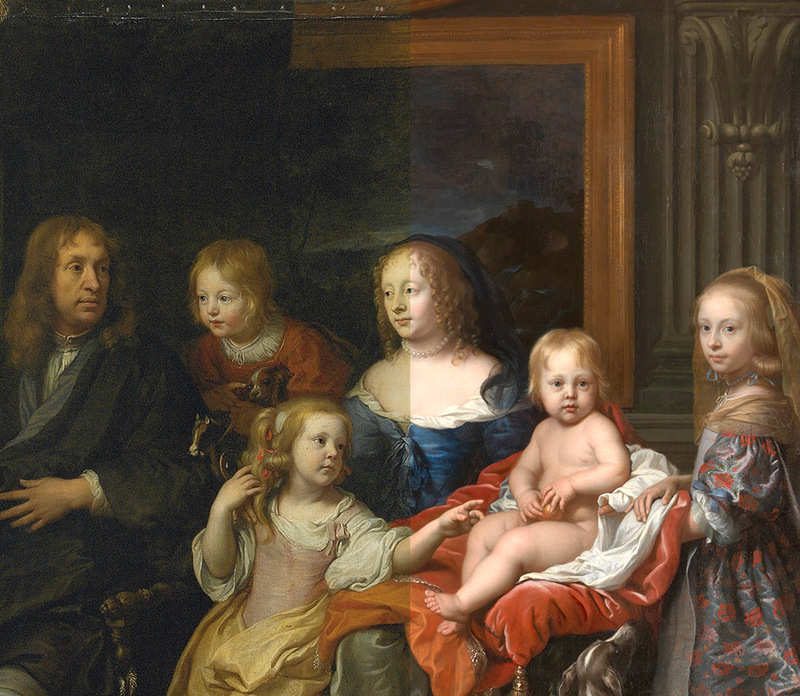 A fascinating video below documenting Michael Gallagher’s painstaking, 10-month restoration of Charles Le Brun’s 1660 Jabach family portrait at the Met in New York. The picture, which is 355 years old, was it’s fair to say in much need of a bit of t.l.c. It’s surface was muddied by that all-too-familiar old, discoloured varnish, which, as this video amply demonstrates, really does make a significant difference to the appearance and impact of a painting. There was also a whopping great fissure in the canvas near to the top edge, as well as other, more minor, losses at various places on the picture’s surface. 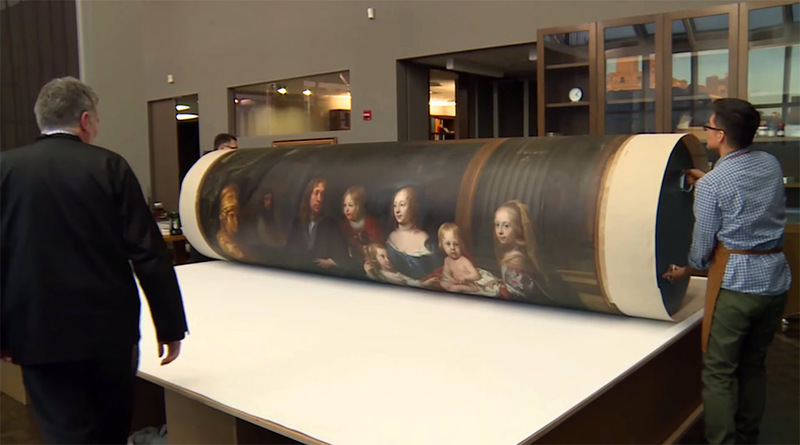 This video, as well as its associated blog, reveals the intricacies and work involved in repairing an old work such as this one and returning it to a former glory. It also demonstrates fairly effectively, I’d say, the hard and meritorious work that scrupulous restorers are continually engaged in in order to preserve major works of art for the future.